We have found a number of interesting gift ideas for the smoking enthusiast. While we rarely discuss cigars here (although we enjoy them quite a lot), those who partake in those wonderful treats know quite well how hard it is to travel with them for any length of time and still manage to keep them fresh. This little plastic package came from Cascade Cigar (www.cascadecigar.com) and is, in fact, a portable humidor. No liquid need be added as the moisture retaining material is built in. It's called the Humi-Pouch pocket humidor and it makes a great gift for the traveling stogie addict. We tried it out and it kept cigars fresh for well over a month which is longer than most folks will take to smoke the four to five sticks it will hold. Last time we checked it was priced at $2.95 for one that holds four to five cigars and $3.95 for the larger one with a capacity of up to twenty. You will have to give them a call as it is not on their e-commerce site. They have a toll free number. Cascade also carries a large variety of full-sized humidors that while more expensive, certainly make incredible gifts. The Chills Survival Kit is a fun unique item that holds your tobacco, papers, and a bat (which are useful for taking a puff or two of your favorite tobacco for that short smoke break), as well as a pick for cleaning the bat. These innovative little packages have become quite popular of late and certainly make an interesting gift. Carried by almost all brick and mortar tobacco shops and many online ones, these items make great gifts for the roll your own crowd. They are classy and practical and sure look a lot better than the plastic cases one usually gets with certain kits and injectors. They usually run less than $40 and often are less than $30. Again, shop around online and locally at tobacco outlets although you will find perhaps the largest selection online at Cascade Cigar (www.cascadecigar.com). Other outlets with more limited varieties include Carey's (www.smokecheap.com), and D&R (www.cigarettetobacco.com). 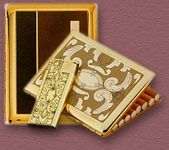 They (cigarette cases) used to be available at general merchandise stores much like lighters (not bics) but are hard to find in those environments nowadays. Note that most of the slim-line single compartment ones are designed more for packaged cigarettes which are slightly thinner in diameter than tube injected roll your owns so don't get too thin of a case. Instead get one that has dual compartments. You will find the lid will stay closed better and the case won't smash your RYO smokes. As a last resort, there are some interesting cases at HJ Bailey (www.hjbailey.com) but as they are a distributor/wholesaler only, you will have to contact them for the names of stores that sell their products. 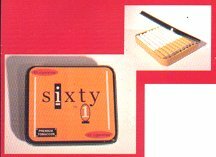 In the same category, the 61 brand cigarette cases (actually referred to as tins) are less expensive but look pretty cool. We found them at 5 for $10 at RYO Tobacco (www.ryotobacco.com). One of the most frequently addressed subjects of e-mail from our readers, the need for a lighter smoke than even a light tube permits, is accomplished elegantly with the filtered cigarette holder. These great gift ideas are available at D&R Tobacco (www.cigarettetobacco.com) where the are specially priced for the holidays. Cascade Cigar has them also although they carry a somewhat fancier and more expensive design. You can order a bag of filters with them that are individually inserted in the holder (it unscrews apart) and the smoke strength reduction is remarkable. The cost is $3-$5 at D&R and $5+ at Cascade. 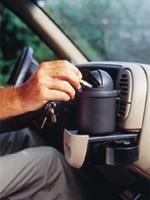 Finally one last item that we recently came across at Stuff Your Own (www.stuffyourown.com) is a portable automobile ashtray that looks like a great idea. It works with cigarettes and up to 50 ring gauge cigars and might be well worth the look. Look around on the web. 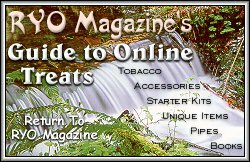 There are hundreds of resources for unique items for the smoking enthusiast and search engines can be of great help.